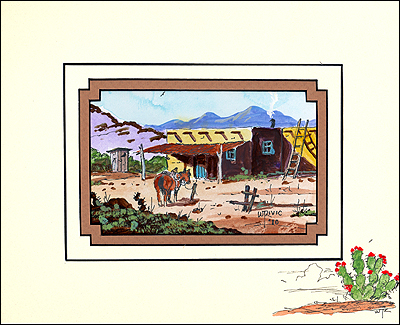 A horse waits outside a Cantina for his owner to return. 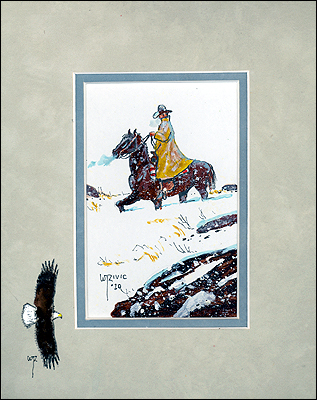 A cowboy and horse battle through a winter storm. 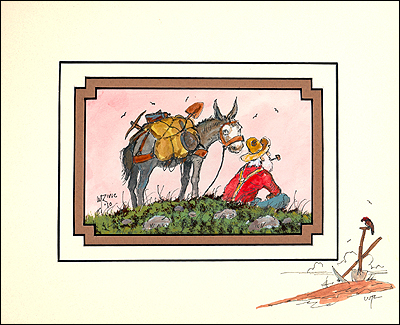 A prospector and his trusty mule take a break. 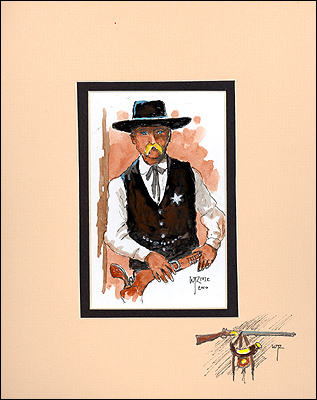 A portrait of the famed Tombstone lawman. 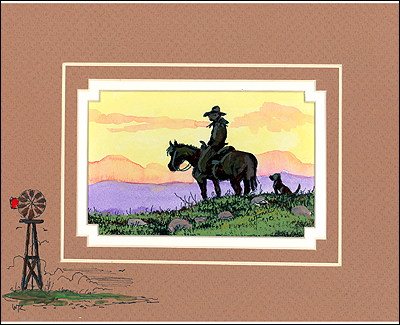 The cowboy life was often one of solitude.